Dare2B-Bare! Cats are in the Spotlight Again! 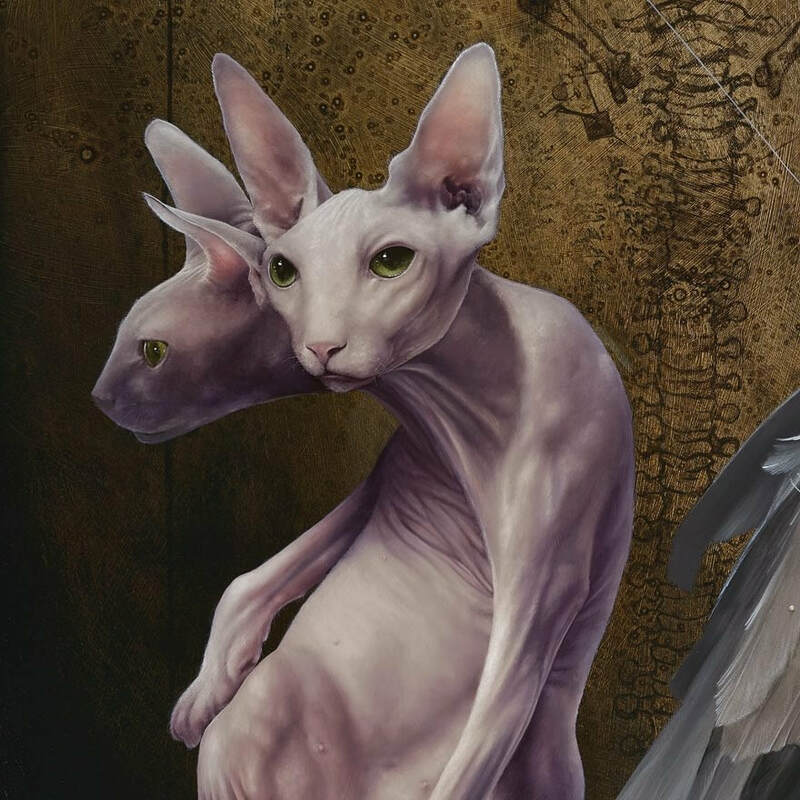 Look at this Amazing Painting with his Sphynx Cat! Tim and Amy Cantor are the loving parents of sweet Rapunzel. Their darling Cat Rapunzel was an inpiration for Tim's creation of the amazing oil painting Charade. It is a true honor to showcase Tim Cantor's outstanding work of art and I am deeply touched to have a Dare2B-Bare! kitty featured in this Painting. Thank you Tim & Amy Cantor for giving Rapunzel tons of love and a fabulouse life! 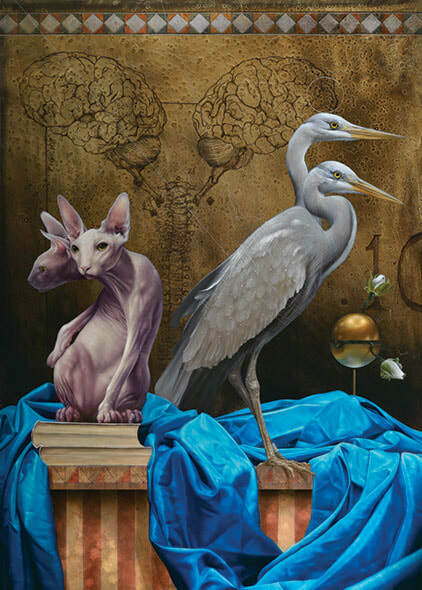 Enjoy this short video of The Famous Artist Tim Cantor and his love of cats. 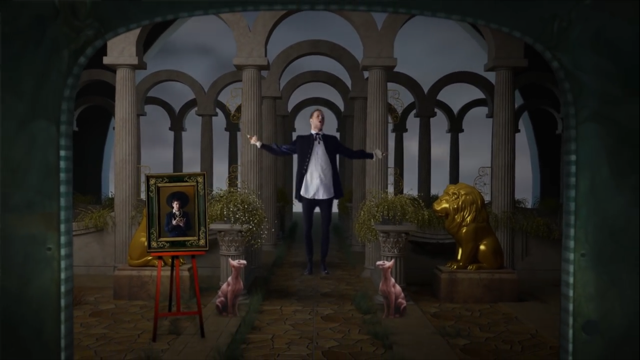 Take a moment and watch this Music Video with Sphynx Artwork! 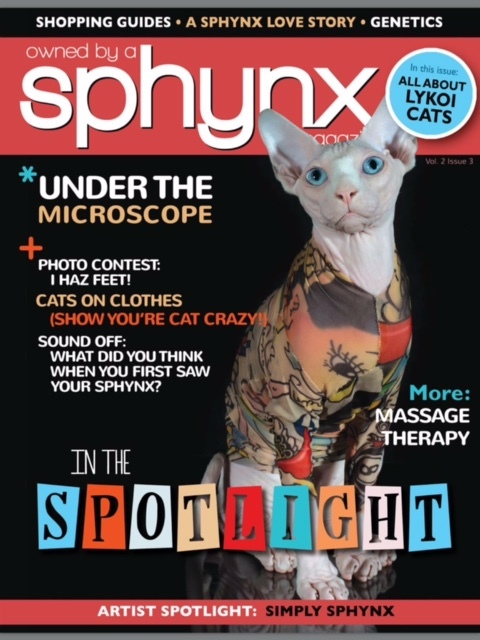 Hairless Cats on the Cover of a Magazine! Calley Jo Perry owned by Dare2B-Bare! Murphy on the front Cover! Model Dena DePompa and her kitty cat Dare2B-Bare! Buddha watching the sun burn into the night. "If you try to book me around 5pm, I'm unavailable - for the rest of my life. I truly believe in scheduling time for yourself into each day.... If not, who are you living for?" The very talented Christopher Aaron Chandler, Commercial Photographer, captured this amazing photo in the hills of Los Angeles California. 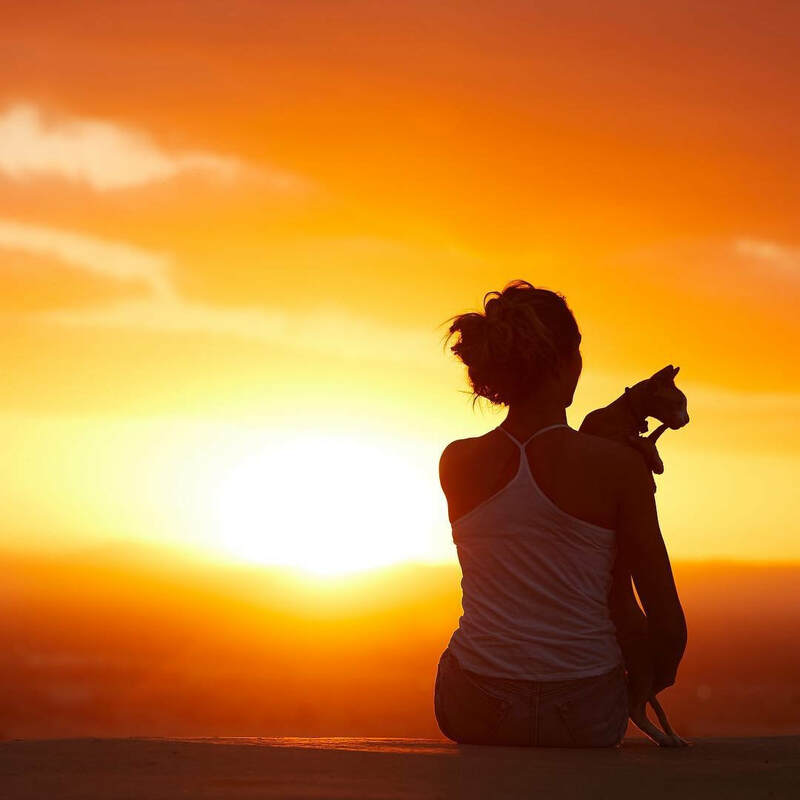 Just a pretty girl loving her Sphynx in the warmth of a California Sunset. Photographer Chris Chandler knows how to capture the magic! 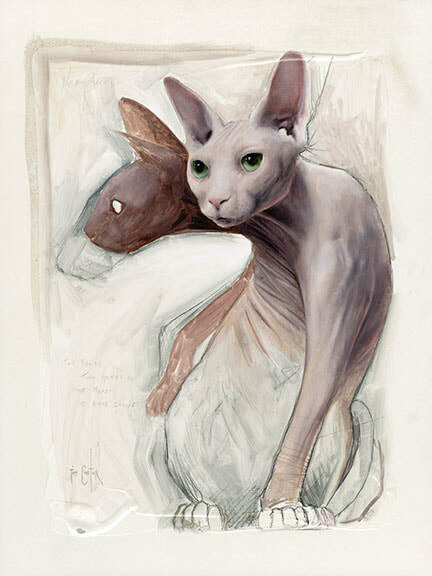 Yoda the hairless cat is a Sphynx Star in San Diego California! Dare2B-Bare! 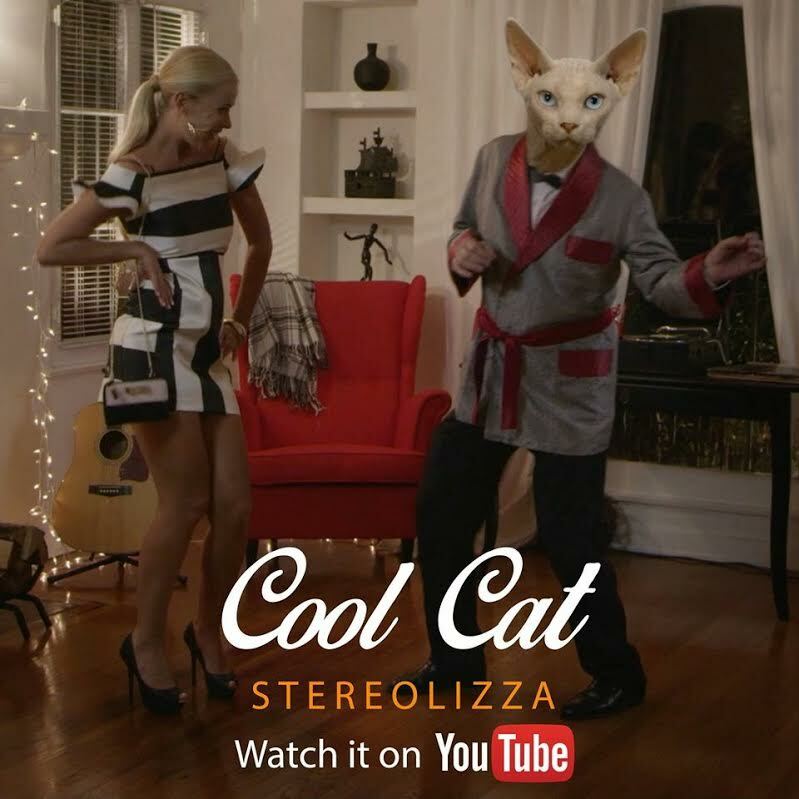 Yoda and his faithful owner Beau Doiron are featured in this Rachel Ray cat food commercial by BuzzFeed Partner. 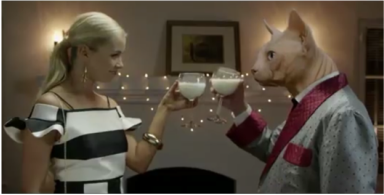 The video is all about Boys and their waaay cool relationships with their Cats. Watch and Smile... too cute! Sphynx Cats are famous for their unique appearance: They are Bald! But many people don't know how much fun living with them can be. Sphynx are happiest in homes with people who like interacting with their pets, because these cats can and will help with almost everything. "They want to help you unload the groceries, put on your makeup, make the bed," says Breeder Janice O'Grady of Dare2B-Bare! Sphynx Cattery in San Diego California. They are always with you wanting to help. They love the action - car rides, going to the bank, coffee, sitting in your lap while you get a pedicure. They sleep with you under the covers." 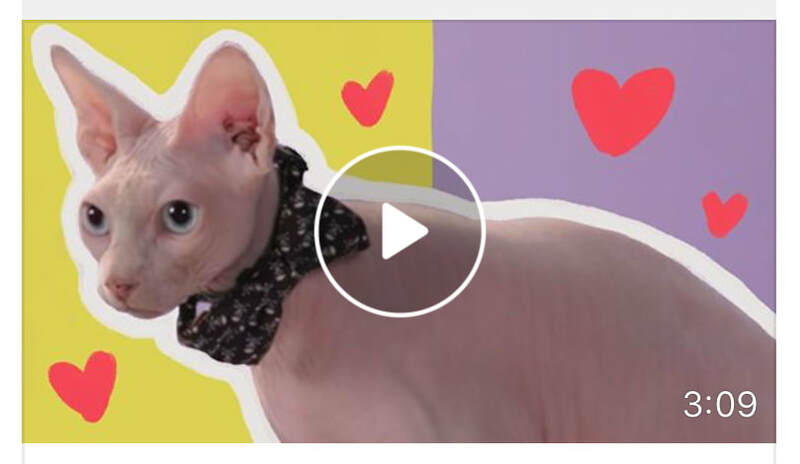 The Best Sphynx Cat Video in San Diego California - A Must See! Jax is One Cool Cat! Dare2B-Bare! Jax of Bareenough Sphynx is one Cool Cat. Jax plays a high-roller gentleman who is too old to party all night. Milk is his choice for a good time! Click Button below to see Jax in action. 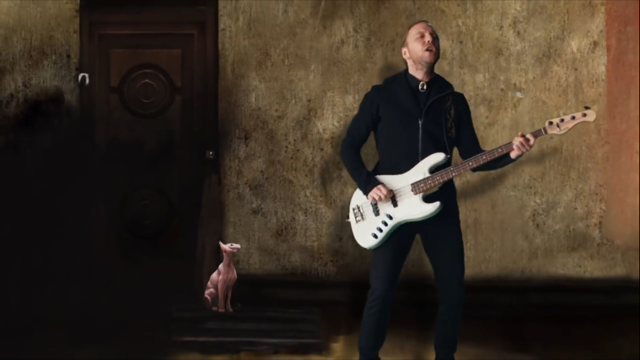 He's a Music Video Star! 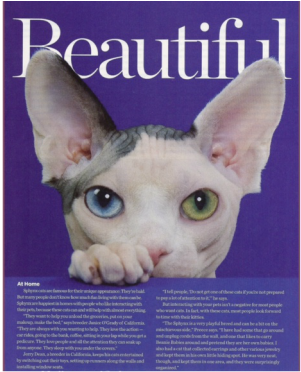 Thank you Jayne Baker-Harrower at Bareenough Sphynx Cattery. Click to Rock Out with Jax!